Such a great Fall vegetable. Love the bitter broccoli crunch! Here is a great recipe that has big and tasty flavor and really easy to make. Bring a large pot of boiling salted water to a boil over high heat. While waiting for water to boil, mix 2 teaspoons of garlic with the bread crumbs in a small bowl. Heat 2 tablespoons of the olive oil in a skillet over medium-high heat. Add the bread crumb mixture and cook, stirring constantly, until the crumbs are toasted and the garlic is beginning to turn golden, 3 – 4 minutes. Remove the crumbs from heat and spread on a plate to cool. Add the broccoli rabe to pot of boiling water and leave in just until the water returns to boil. Then drain it in a colander, and squeeze it gently to remove the excess water. 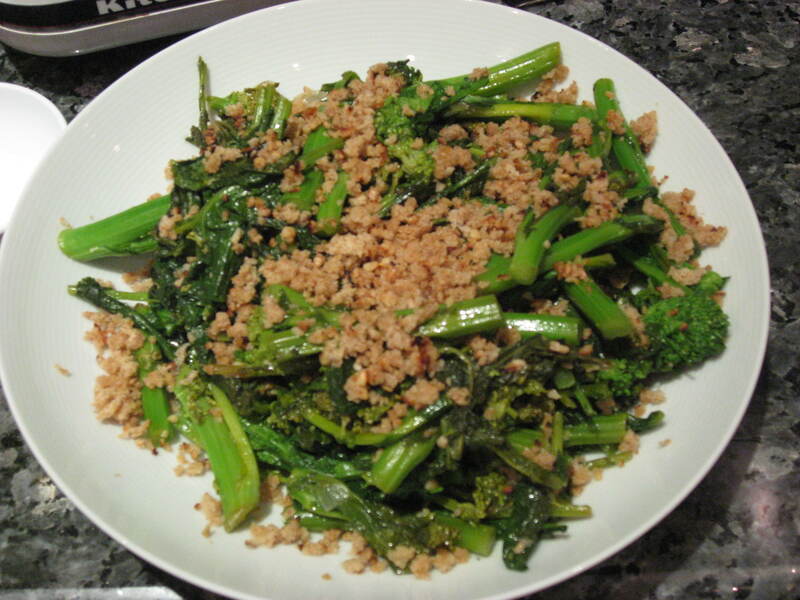 Coarsely chop the broccoli rabe, leaving any florets whole, and set aside. Heat the remaining 1 tablespoon olive oil over medium heat in the same skillet that you used for toasting the bread crumbs. Add remaining teaspoon of garlic to oil and cook, stirring constantly, until it begins to turn translucent, about 5 minutes. 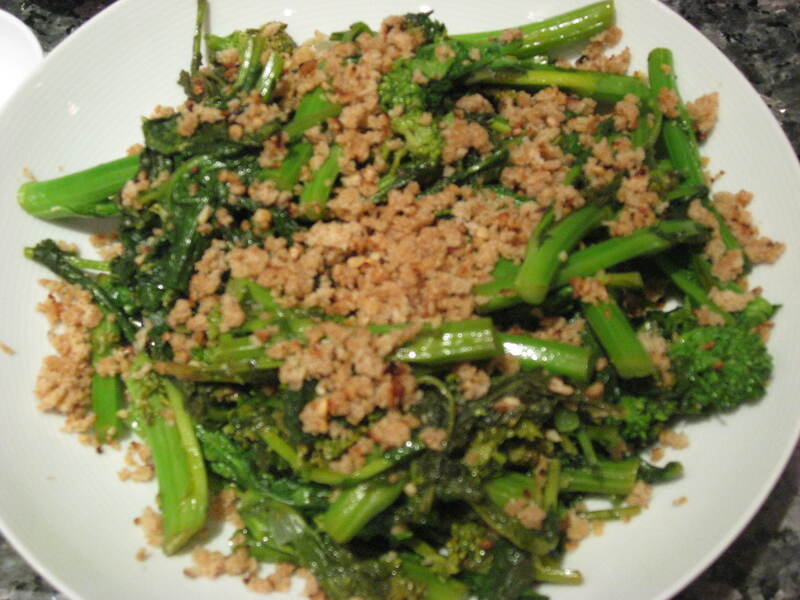 Add the broccoli rabe and cook, stirring, until it is hot, about 7 minutes. Season with salt and pepper, drizzle with the lemon juice, sprinkle with the bread crumb mixture, and serve immediately.